After being married for an amazing 31 years, just hours before Christmas, Mel Gibson and his wife Robyn Gibson have officially had their divorce finalized. Robyn Gibson will reportedly be going under her former maiden name and be known as Robyn Denise Moore from here on out. The judge approved the terms of the divorce on Friday and the regulations go into effect on the 9th of January. The details of the agreement have not been disclosed. Gibson does own a great deal of real estate in Malibu and is worth a reported $900 million. 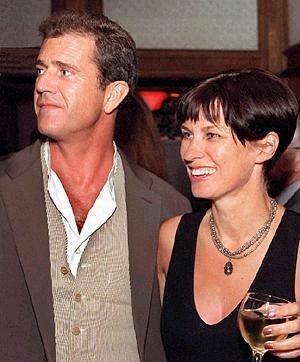 Mel and Robyn were separated in 2006, when Gibson’s personal troubles began to surface. In April of 2009, Robyn filed divorce papers. Since 2006, Mel Gibson has entered and ended a relationship with Oksana Grigorieva. With her, he has a young daughter of 2 years. The two have split custody of their daughter. Gibson’s Hollywood career has crumbled since he made anti-Semitic remarks while drunk and now his personal life is essentially over as he no longer has his wife, nor Oksana.